edddison is an add-on for Autodesk Navisworks, which lets you create a walk through the file without any scripting skills. Control your view with mixed reality (tangible objects & webcams), touch devices and tablets. Let your management and clients interact and experience your newest building. Note: Autodesk Navisworks is a 3D-Software mainly used for BIM applications (Building Information Modeling). 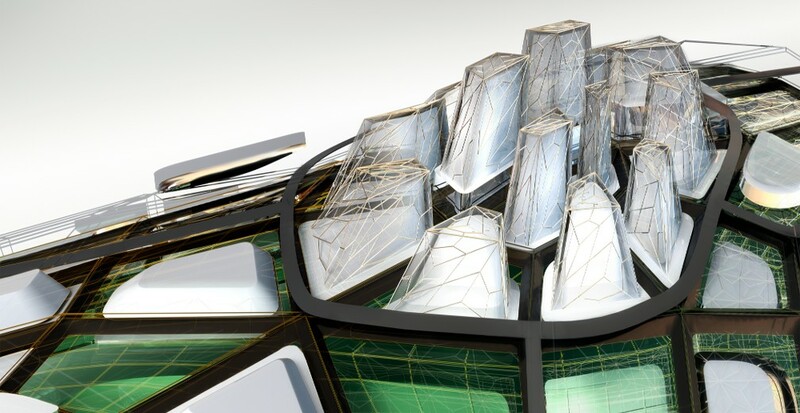 “Navisworks is a project review software, which enables architecture, engineering, and construction professionals to holistically review integrated models and data with stakeholders to gain better control over project outcomes. Integration, analysis, and communication tools help teams coordinate disciplines, resolve conflicts, and plan projects before construction or renovation begins”. Navisworks can handle huge 3D files, although the render quality is not the best (visualization is not the core goal of the software). 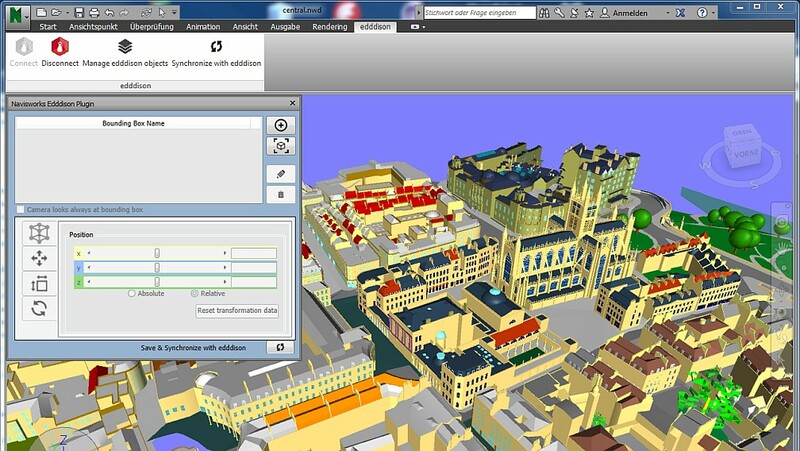 Furthermore it unveils building problems (so-called clashes) and works close together with Autodesk Revit. Once a Revit file is imported/synced it will automatically update the Navisworks file every time you make changes in Revit. So once prepared the file is always up to date. Navisworks uses the “Clash Detective tool” to permit clash detection. It can help you reduce the risk of human errors during model inspections. It can either be used as a one-off ‘sanity check’ for your completed design work or as an ongoing audit check of the project. Navisworks Manage vs. Navisworks Simulate. See which product is right for you. The Freedom-edition is seen apart, since it`s just a viewer and does not work with any plugins and therefore also not edddison. The price for Navisworks Manage is $ 8195 and Navisworks Simulate $ 2095. Perhaps in someone’s eyes this seems expensive, but to view huge 3D models, simulate clashes and prevent expensive building issues as well as problems in in the planning phase of a complex building, it is worth it´s money. Download the trial of edddison and Navisworks and get started!